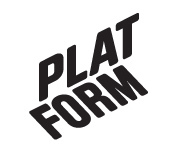 August 2005 – Platform r.f. A collaboration between Willem Koch, Freie Klasse and Platform. Thursday 11.8.2005 at 19:00, outside of Platform. A symbolic gesture against ‘the spirit of allotment gardening’ and a gathering of landscape architectonical and -nursing motorising phenomena. Equipment: the participants will bring their own motorised tools, any kind available from handheld ones to tractors. For every lawnmover meeting an individual parcour is set up. During previous meetings simple choreographies were performed in the green areas that were allotted for the specific purpose. There are no winners nor loosers, only participants.